Ms DW, Waterford, Ireland via Etsy, 23/11/2014. Cool blue Background with delicate flowers. 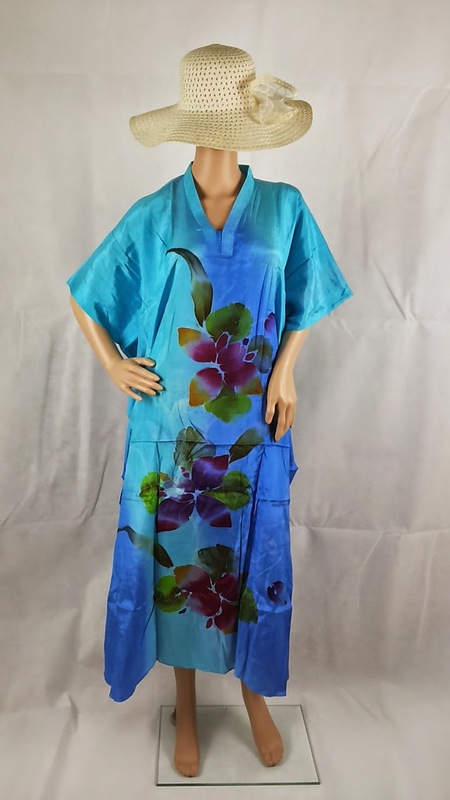 Kaftans - perfect for lounging at home or as cover on the beach. One size fits most. Free shipping Malaysia. Global postage to other countries.